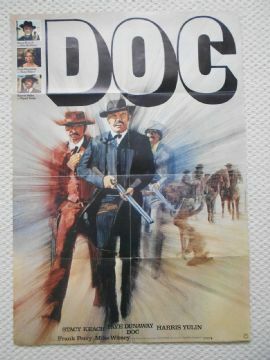 Original German poster from the film ' Doc ' starring Stacy Keach and Faye Dunaway. This poster is in VG++ condition and measures approx 23" x 33" with a great image. The poster has two surface holes.